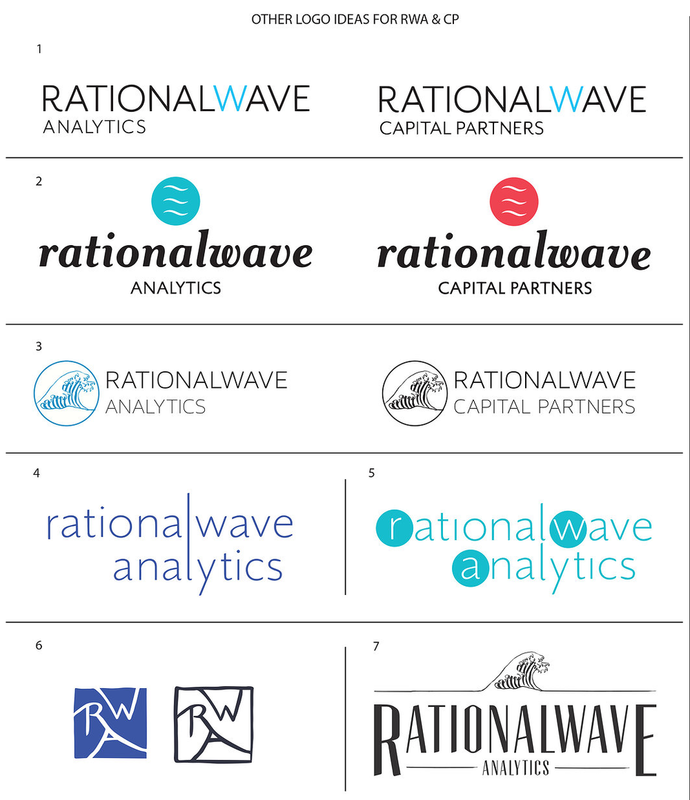 Custom logo design for RationalWave Analytics, a predictive analytics company. RW Capital Partners is a venture capital firm that invests in public and private technology companies. The blue arc in the logo echoes the arc in the graph that is the basis for the company's algorithm for its predictions.